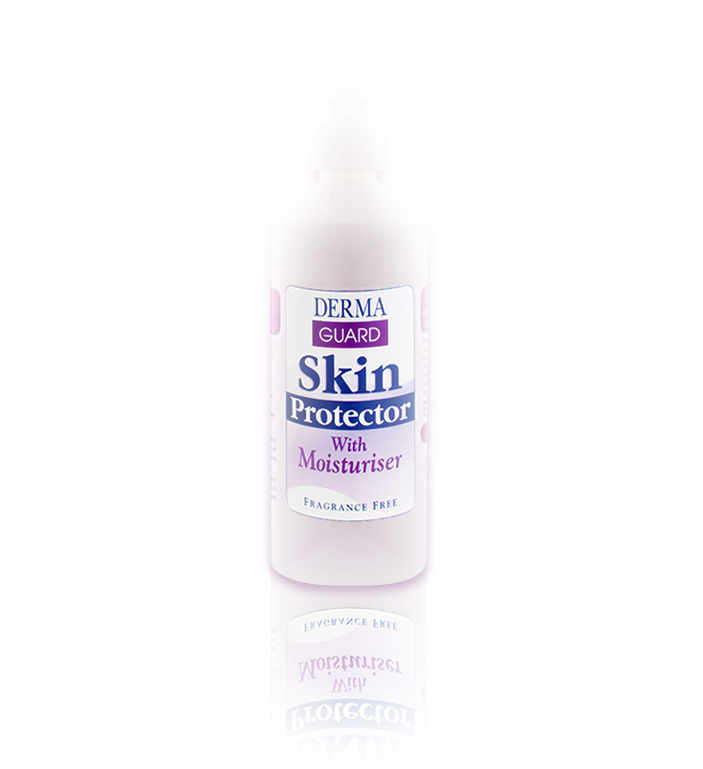 DermaGuard Skin Protector with Moisturiser. Effective Skin Protection. 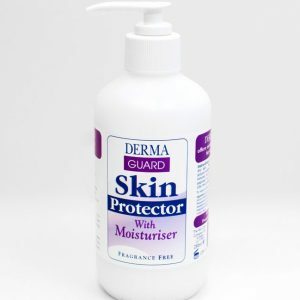 DermaGuard - Effective all over skin protection for all the family! Discover what thousands of people already know – DermaGuard provides effective, all-over skin protection for all the family, at home, in the workplace, sport and leisure. It makes a REAL difference! 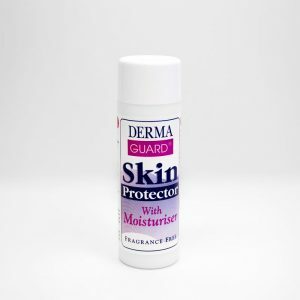 DermaGuard is one of THE most effective skin protection products on the market, providing superb protection for your skin from hundreds of everyday harmful materials. At the same time, it moisturises, keeping your skin soft and supple. the abrasive effects of clothing during walking, running, cycling etc. 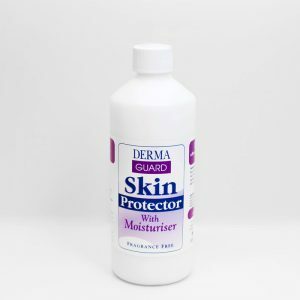 DermaGuard also protects in the workplace and helps prevent Contact Dermatitis caused by the constant wearing of latex and rubber gloves. Discover the DermaGuard difference for yourself, now! 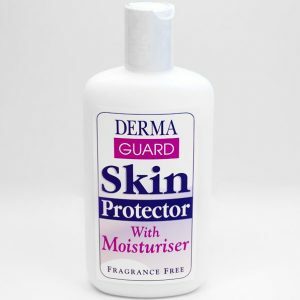 DermaGuard skin protector has been the answer to my prayers. Please don't stop selling this product; it certainly does work where others have failed.